1780 – In the first documented mass murder in America by an individual, 19-year-old Barnett Davenport beat Caleb Mallory, his wife Jane, and 9-year old granddaughter Charlotte to death. 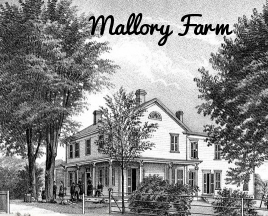 Davenport, a boarder and farmhand on the Mallory grist mill and farm in Washington, CT, then looted the home before setting it on fire, killing Mallory’s two grandchildren; 6-year old John, and 4-year old Sherman. Davenport was put on trial, which was presided over by Roger Sherman, who previously had served on the committee that wrote the Declaration of Independence. Sherman sentenced Davenport to forty lashes and then to be hanged. The execution took place at Gallows Hill on May 8, 1780. 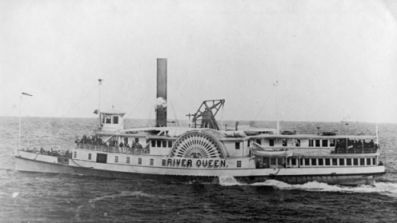 1865 – President Abraham Lincoln and other officials from the Union met with a delegation of Confederate officials aboard the steamboat River Queen at Hampton Roads, a harbor in eastern Virginia, to discuss a possible peace agreement. Lincoln refused to grant the delegation any concessions, however, and the meeting ended within hours. The Confederate delegation underestimated Lincoln’s resolve to make the end of slavery a necessary condition for any peace. The president also insisted on immediate reunification and the laying down of Confederate arms before anything else was discussed. In short, the Union was in such an advantageous position that Lincoln did not need to concede any issues to the Confederates. After less than five hours, the conference ended and the delegation left with no concessions. The war continued for more than two months. 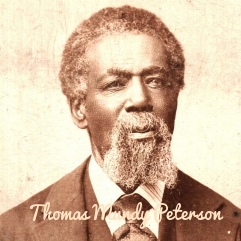 1870 – The Fifteenth Amendment to the United States Constitution, prohibiting the federal and state governments from denying a citizen the right to vote based on that citizen’s “race, color, or previous condition of servitude,” was ratified as the third and last of the Reconstruction Amendments. It was formally adopted on March 30, 1870. 1913 – The Sixteenth Amendment to the United States Constitution was ratified, authorizing the Federal government to impose and collect an income tax. That led to the United States Revenue Act of 1913 signed into law by President Woodrow Wilson in October 1913. The incomes of couples exceeding $4,000, as well as those of single persons earning $3,000 or more, were subject to a one percent federal tax. The measure provided a progressive tax structure, meaning that high income earners were required to pay at higher rates. 1924 – Woodrow Wilson, the 28th President of the U.S. (1913-1921), died of a stroke and other heart-related problems at the age of 67. 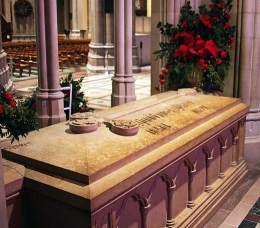 He was interred in a sarcophagus in Washington National Cathedral. 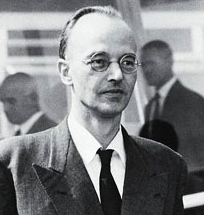 1950 – Klaus Fuchs, a German-born British scientist who helped developed the atomic bomb, was arrested in Great Britain for passing top-secret information about the bomb to the Soviet Union. The arrest of Fuchs led authorities to several other individuals involved in a spy ring, culminating with the arrest of Julius and Ethel Rosenberg and their subsequent execution. Fuchs was sentenced to 14 years in prison but was released in 1959 and immediately moved to East Germany, where he died in 1988. 1959 – ‘The Day The Music Died’ — Buddy Holly (22), Ritchie Valens (17) and J.P. Richardson, better known as The Big Bopper (28), died in an Iowa plane crash. Performing in concert was very profitable and Buddy Holly needed the money it provided. “The Winter Dance Party Tour” was planned to cover 24 cities in a short 3 week time frame (January 23 – February 15) and Holly was the biggest headliner. Waylon Jennings, a friend from Lubbock, Texas and Tommy Allsup went along as backup musicians. Ritchie Valens and The Big Bopper rounded out the list of headline performers. The tour bus developed heating problems. It was so cold onboard that drummer Carl Bunch developed frostbite riding in it and had to be hospitalized. When they arrived at the Surf Ballroom in Clear Lake, Iowa, the singers were cold, tired and disgusted. Holly had been through enough of the unheated bus and decided to charter a plane for himself and his guys (Jennings and Allsup). Dwyer Flying Service got the charter: $36 per person for a single-engine Beechcraft B35 Bonanza. Waylon Jennings gave his seat up to Richardson, who was running a fever and had trouble fitting his stocky frame comfortably into the bus seats. When Holly learned that Jennings wasn’t going to fly, he said, “Well, I hope your old bus freezes up.” Jennings responded, “Well, I hope your plane crashes.” This friendly banter of friends would haunt Jennings for the rest of his life. Allsup told Valens, “I’ll flip you for the remaining seat.” On the toss of a coin, Valens won the seat and Allsup won the rest of his life. The pilot, Roger Peterson, was not instrument rated – meaning he was not certified to fly in weather that required relying solely on instrumentation – but in fairness to him, he was never notified about pending snowfall. Later that morning, Dwyer, having heard no word from Peterson since his departure, took off in another airplane to retrace his planned route. Within minutes, at around 9:35 a.m., he spotted the wreckage less than 6 miles northwest of the airport. The sheriff’s office, alerted by Dwyer, dispatched Deputy Bill McGill, who drove to the crash site, a cornfield belonging to Albert Juhl. 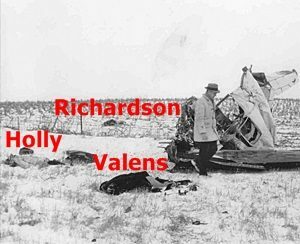 The bodies of Holly and Valens had been ejected from the torn fuselage and were both approximately 17 feet from the wreckage. Richardson’s body had been thrown 40 feet over the fence and into the cornfield of Juhl’s neighbor Oscar Moffett, while pilot Peterson’s body was entangled in the plane’s wreckage. 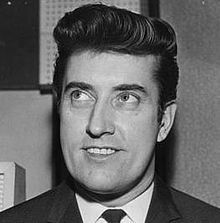 1967 – Joe Meek (producer for The Tornados –Telstar) and The Honeycombs – Have I The Right) died by suicide. He was 37. Meek was a Buddy Holly fanatic who shot and killed himself (after murdering his landlady) on the eighth anniversary of Buddy’s death. He didn’t, however, turn down the chance to record a cat howling in a London cemetery because he believed it was possessed by the spirit of a dead person. So yeah, Joe was a little on the strange side. 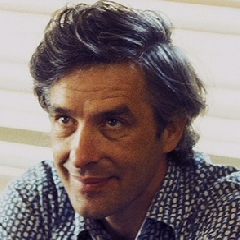 1989 – Actor John Cassavetes (Rosemary’s Baby, The Dirty Dozen) died from cirrhosis of the liver at the age of 59. 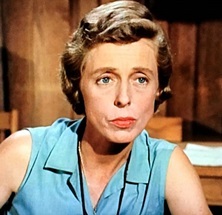 1991 – Actress Nancy Kulp (best known for her role as Miss Jane Hathaway on The Beverly Hillbillies) died of cancer at the age of 69. 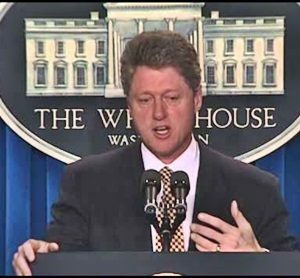 1994 – Nearly two decades after the fall of Saigon, President Bill Clinton announced the lifting of the 19-year-old trade embargo against Vietnam, citing the cooperation of Vietnam’s communist government in helping the United States locate the 2,238 Americans still listed as missing in the Vietnam War. In July 1995, the Clinton administration established full diplomatic relations with Vietnam. 1998 – Twenty Europeans, mostly Germans and Belgians, were riding a ski tram up Cermis Mountain in the town of Cavalese, Italy when an EA-6B Prowler operated by the U.S. Marines suddenly flew by. The anti-radar aircraft sliced through the steel cable holding up the tram and it plunged more than 250 feet to the ground. Everyone on board was killed instantly. The pilot, Captain Richard J. Ashby, and navigator, Captain Joseph Schweitzer, destroyed a videotape that had recorded their flight before an investigation began. Still, it was soon discovered that the plane had been flying at only 360 feet above the ground, in spite of regulations that set the minimum altitude for flights at 2,000 feet. In a military court at Camp Lejeune, North Carolina, Ashby and Schweitzer were charged with involuntary manslaughter and negligent homicide. They claimed that their equipment had malfunctioned and that their maps had not shown the location of the ski-lift. 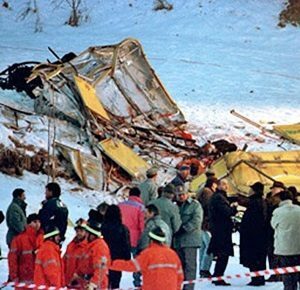 Despite Italian claims that American pilots regularly and intentionally ignored safety regulations by going on “joy rides” and executing risky maneuvers, the crew was acquitted in March 1999. Ashby and Schweitzer were court-martialed for obstruction of justice for their destruction of the videotape and dismissed from the Marines. 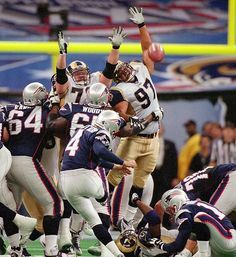 2002 – The New England Patriots shocked football fans everywhere by defeating the heavily favored St. Louis Rams, 20-17 at Super Bowl XXXVI, to take home their first Super Bowl victory. Patriots’ kicker Adam Vinatieri made a 48-yard field goal to win the game as the clock expired. 2003 – Actress Lana Clarkson (Barbarian Queen) was murdered by record producer Phil Spector. She was 40. She had just met Spector that day while working at the House of Blues in Los Angeles. After leaving in Spector’s limousine, Clarkson and Spector drove to his mansion and went inside while his driver waited in the car. Spector was tried for the murder of Clarkson in 2007 but a mistrial was declared due to a hung jury ten to two for conviction. He was tried again for second-degree murder. On April 13, 2009, the jury found Spector guilty of murdering Clarkson. Spector was sentenced on May 29, 2009 to nineteen years to life in state prison. 2008 – The New York Giants stunned the New England Patriots in Super Bowl XLII, pulling off one of the biggest upsets in Super Bowl history. New England came into the game with an unblemished 18-0 record and held a 14-10 lead in the closing moments of the fourth quarter. With just one minute, 15 seconds remaining and their Super Bowl hopes dwindling, Giants quarterback Eli Manning pulled away from several Patriots defensive players and threw the ball down the field. Little-used wide receiver David Tyree out-jumped Patriots safety and four-time All-Pro Rodney Harrison to catch the ball, cradling it against his helmet with one hand as the two men fell to the ground. Four plays later, with only 35 seconds left on the clock, Manning tossed the game-winning touchdown into the hands of Plaxico Burress. 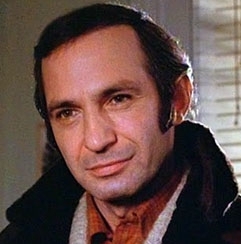 2012 – Actor Ben Gazzara (Anatomy Of A Murder, The Bridge At Remagen, Husbands, Capone, Road House and television’s Run For Your Life) died of pancreatic cancer at the age of 81. Great read Ray!! Sometimes I think of that song “who you’d be today” – how things would be different had certain things happened or not!! For reasons we will never know … things happen for a reason I guess (famous saying by my mother in law) But still wonder ……..